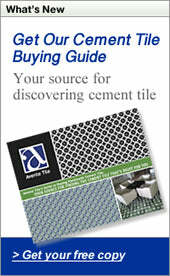 Avente Tile celebrates Bathroom Blogfest 2011 with a post about "Climbing Out" - the theme of this year's blogfest. It's our 2nd year to participate and we start with a tip 'o the hat and big thanks to Christine B. Whittemore, chief simplifier of Simple Marketing Now, who flawlessly orchestrates this fun and informative event. A list of participants is included at the end of this article. Make sure to read their posts and get their spin on this year's theme! Read more about the blogfest events in Christine's recent post about Bathroom Blogfest 2011 and our previous Tile Talk post, Gearing Up to Climb Out: Bathroom Blogfest 2011. Tile offers creative solutions for a fabulous bathroom experience each time you climb out of that tub or shower. There is no need for a dismal bathroom because tile is the best choice for both a beautiful and functional bathroom. Tile should be used to climb out of any bad bathroom design because it provides a sanitary surface that is easy to clean, slip-resistance for bath floors and showers, and accommodates any budget. We’ll show you how tile keeps re-inventing the bathroom and how you can do more with less. Let us help you re-imagine your bathroom and create a radically improved bathroom experience. Don’t be stuck with a bad bathroom experience, climb out with us and experience some better bathrooms. You’ll enjoy the benefits of better bathroom experience every day because the bathroom is where your day begins. Climb out with us and begin the day's events with a fresh attitude and some super ideas for your bath! Cement tiles provide great designs and limitless color schemes that wear well in any bath floor or wall. Pick a pattern and color you won't become weary of. This traditional pattern in "basic black and white" provides a focal point in an easy-to-use and flexible pallet. Cement tile is an ideal choice for a bath because of the natural slip resistance of concrete, even when wet. Another benefit, the tile becomes even more beautiful with time from wear. Colorful cement tile patterns create distinctive and eye-catching accents for bathroom walls and backsplash installations. The color in the patterns can be customized for any decor. You can also create your own pattern and colors for a truly unique design. Cement tiles pair well with wood and natural stone - especially when the pattern's colors complement the natural materials that share the space. The patterns created by the relief cement tiles in alternating colors make a grand statement for this bathroom. This bathroom wall is gorgeous and tiled exclusively in our Hispaniola cement wall tiles. Each cement tiles is handmade and made to order that creates a unique bathroom experience for residential and commercial applications. When it comes to decorative tiles, one of my mantras (and blog posts) is that with Deco Tiles: A Dab Will Often Do! Interior Designer, Lisa M. Smith of Interior Design Factory, showed us how to Get the Most from Decorative Tile. Don't the hand-painted spiral accent dots and trim make a stunning backsplash when paired with the brushed blue and terracotta field tile? Hand-painted decorative and relief tiles allow you to do more with less. Grouping hand-painted tiles in classic Spanish, Moorish, or Portuguese designs creates a classic and timeless look. Barcelona La Merced 6"x6" and 3"x3" deco tiles are paired with a coordinating blue cornice and bar liner to create this bathroom backsplash. The rustic feel is maintained with a painted countertop and hammered sink. Coordinating deco tiles in different sizes add visual interest. Separating them by using a field trim piece helps to define the space and color scheme. Pairing ceramic field tile with hand painted decorative tile is the most cost effective way to create a unique bathroom experience and maintain a tight project budget. We hope our tile designs help provide inspiration and ideas so you can climb out and build a better bathroom experience. Here's a list of this years's participants that are writing about 'climbing out' and the bathroom experience. way to kick of the Bathroom Blogfest in ... Tile! (rhymes with style). A Few Hand Painted Tiles Make a Bathroom Backsplash Pop . . . but you my dear sir have a masterful eye for the cement tile. Love em. Cheers! I'm with Building Moxie! way to climb out with style and tile. Bill, I love how versatile these tiles are. Wow! Thanks for being part of the Bathroom Blogfest fun and encouraging us to really climb out and turn dreams into reality. JB of Building Moxie - Tile definitely creates style and thanks for letting us know what you like. CB - We enjoy Bathroom Blogfest and are trilled to share our take on climbing out with tile. Appreciate your support for this event as well! What does cement a tile feel like? Does it wear as well as porcelain? I'm not as familiar with these as with porcelain tiles. Enjoyed the post. Happy Bathroom Blogfest 2011! Those are some interesting tiles. We need to get our hands on some of them. Jeanne, Thanks for stopping by and reading our post. Cement tile feels like, well, cement :-) Fairly rough texture similar to a cement sidewalk. Cement tile is considered a through-body tile because the pigmented cement that makes the pattern on the outside surface is 1/8" thick. They are as durable as porcelain; but, can't be exposed to hard frosts. In fact, I've seen cement tiles that over 100 years old and still look fabulous! Glad you like our tiles. If there's anything you need, let us know and thanks for participating in Bathroom Blogfest! Is there a finish on the cement tile that protects it from, say, cream rinse, face cream or olive oil? It looks wonderful and I like the feel of cement. That's a greet question and I'm glad you asked. Cement tile, like natural stone, is porous and we recommend that it be sealed with a good penetrating to sealer. Hope that helps and let me know of any other questions!